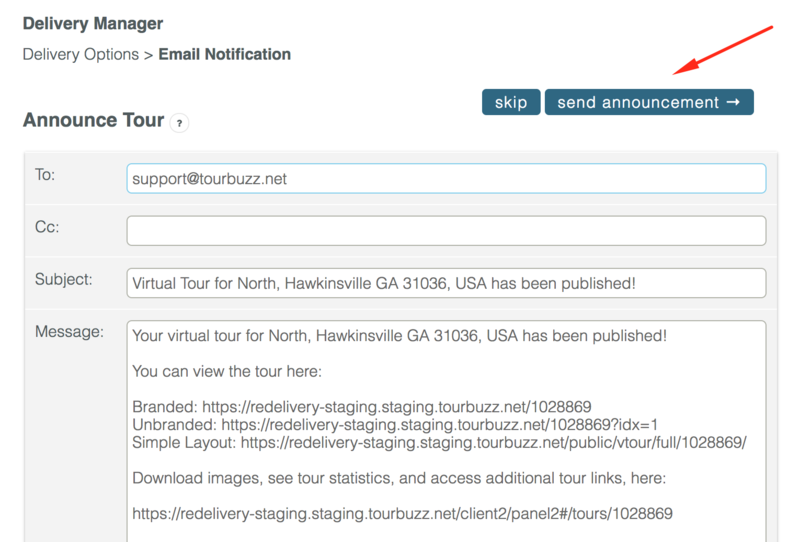 A link to the Client Panel where the customer can log in to download images, see tour statistics, edit their tour, and access additional tour links. then click "Skip to Email Notification." 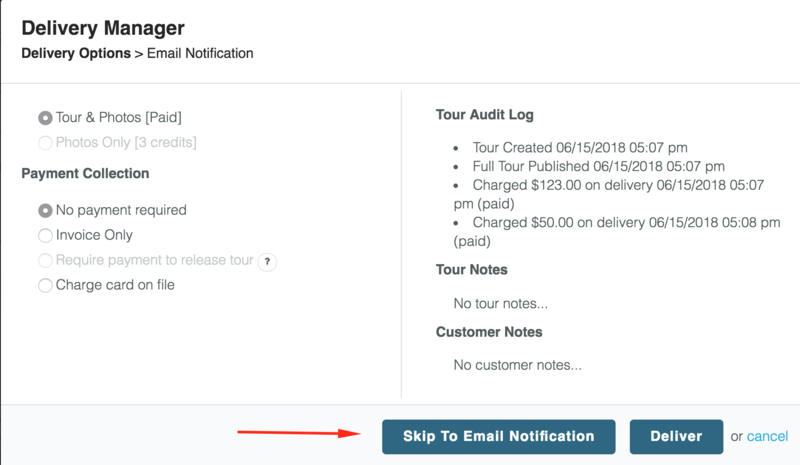 This will bring you to the email template, where you can then click "send announcement."